Is Valuable! The affordable eBook publication encourages active learning by asking questions in addition to being issue oriented: using resources, deciphering notation, and mathematics appreciation. Is Easy to Adopt! Instructors are provided with instructional support to easily append their course material with this inexpensive and proven resource. Is Flexible! The eBook supplements any existing textbooks in Developmental Math, College Algebra, Statistics, or Quantitative Reasoning courses. Reinforces Math in the Real World! The eBook presents real world applications of math such as feeding a family in a food desert, managing debt, math applications on the job, taxes, and more. Encourages creative exploration instead of a one-size-fits-all approach. How Do You Keep Working? Chapter Six: You Have More Resources Than You Know! Who Should I Study with? Ground Rules: How Do We Work Together without an Instructor Supervising Our Work? Exploration 1: What Causes Some Lines to Be Steeper Than Others? Exploration 2: What Happens If You Try to Divide 1 by 0? Tobias is equally well known in academic and popular circles as a feminist and for her books, Women, Militarism and War (with Jean Elshtain) and Faces of Feminism: An Activist's Reflections on the Women's Movement. Supported by the Ford Foundation, Rockefeller Foundation, Research Corporation, and the Alfred P. Sloan Foundation, her work has made her a sought-after consultant on college and university curricula, general education, post-baccalaureate alternatives, professional master's in science and mathematics, and women's studies. Tobias is a popular speaker on all these topics and is available for formal addresses as well. Educated in history and literature at Harvard/Radcliffe, Tobias earned a master's in history and an M.Phil at Columbia University and eight honorary doctorates, the most recent from Michigan State University and Worcester Polytechnic Institute. 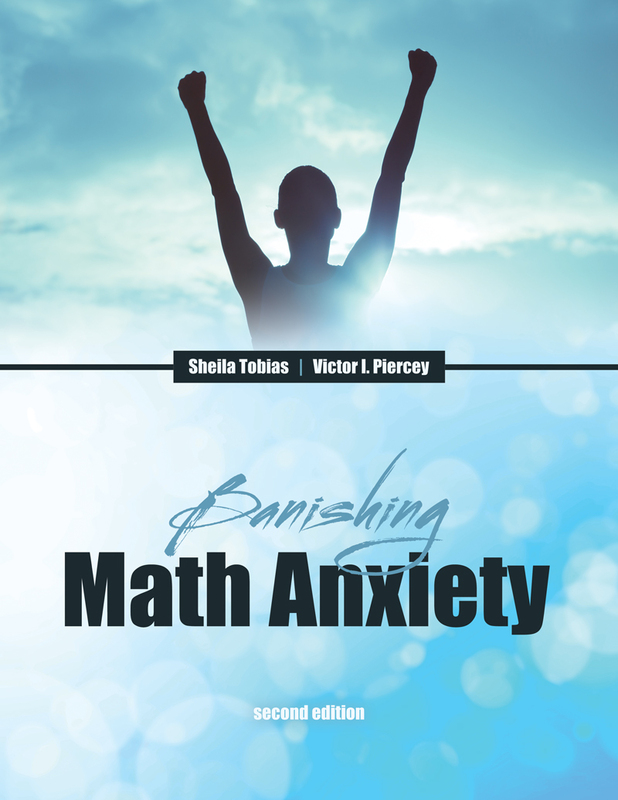 Victor Piercey joined Sheila Tobias in preparing Banishing Math Anxiety as her sometime partner in math-anxiety workshops. With a PhD in Mathematics from the University of Arizona, Victor brings a wide range of experience in teaching math for elementary to college. His teaching extends to developmental college courses and quantitative reasoning, where he works hard to help those students who struggle with math anxiety, He is an associate professor of mathematics and director of general education at Ferris State University and lives with his wife, a vocal performer, in Big Rapids, Michigan.